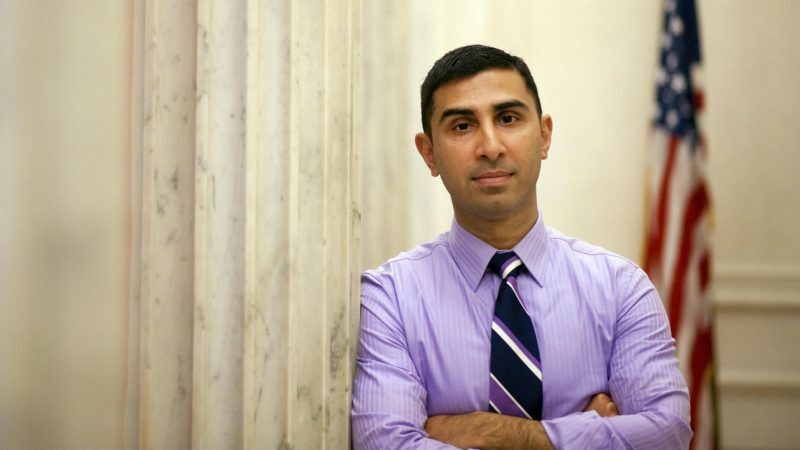 Last month, the first potential Jewish President in American history, Bernie Sanders named 39-year-old Muslim, Pakistani-American Faiz Shakir as his campaign manager. The former editor of Think Progress, Shakir previously worked as a top aide to Harry Reid before taking over as the political director of the ACLU. The Muslim son of Pakistani immigrants, Shakir doesn’t smoke or drink. His drug of choice is baseball. A skilled baseball player, who still coaches little league today, he was recruited to play baseball at Harvard, where he was the team’s starting second baseman. In an interview with Payday, Shakir credits baseball with helping him as a first-generation American integrate into American society. Although, unlike many star baseball players, Shakir didn’t start playing until he was 12 years old. Like many children of Pakistani immigrants, he didn’t grow up watching baseball at home with his parents as I did. He says he was first introduced to baseball at a friend’s house when he was eight years old. “Literally I would say Steve Stone and Harry Caray taught me the game of baseball because I would come home from school and listen to Harry Caray and Steve Stone talk about baseball,” says Shakir. “And let’s be clear, you and I both remember Harry Caray and he was not the one teaching me the game of baseball. He was teaching me the fun of the game, it was honestly more Steve Stone,” says Shakir laughing, recalling the jovial, goofy, absent-minded longtime Chicago Cubs broadcaster who died in 1998. Often the game of baseball is taught father-to-son, the way I was taught by my father, but Shakir, whose parents were Pakistani immigrants didn’t know anything about baseball. He says he learned the game from the parents of kids he grew up around living in a low-income housing complex in Jacksonville, Florida. Eventually, he became talented at playing sandlot games. When he was 12 years old, a neighbor’s father asked permission from Shakir’s parents to sign him up for baseball. Eventually, Shakir got good enough that he was recruited to be the starting second baseman at Harvard. It also helped Shakir break out of what he saw as the insular Muslim community in Jacksonville. Now, as the skipper of the Sanders campaign, Shakir says that many of the lessons on the baseball field about how to keep a clubhouse loose have been invaluable. “It’s that third pitcher out of the bullpen that will win you the game, it will be that back up shortstop that can steal a base in the late innings that can win you a ballgame and it’s that kind of appreciation not just for your ace pitcher or your three-hole pitcher, appreciating and understanding that everybody in the organization has a role to play and you gotta find the talents and the ability to contribute to the overall success and as the manager of it, you gotta enter with that mindset,” says Shakir. As we talk, Shakir starts to fondly recall his friendship with the backup catcher on his high school baseball team, Trey Huy. “My best friend in life was with our backup catcher, he might have gotten into one game because our catcher was a superstar, but that backup catcher was the core of the team,” says Shakir. Reached by email, Shakir’s backup catcher once again provided a vote of confidence. “Faiz was a leader on and off the field–always authentic and genuine. I have no doubt he will excel in this new role,” says Huy, who still keeps in touch with Shakir regularly. Shakir says that ultimately baseball benefited him as a first-generation child of immigrants in so many ways. “The immigrant experience is that my family that didn’t know anything about baseball are now huge baseball fans, they watch the Red Sox, watch the Rays, they are watching games and they are telling about games that I obviously don’t have time to watch,” chuckles Sanders’ campaign manager as he recounts how his new role prevents him from the game he so dearly loves. For more on baseball and the immigrant experience, see my 2018 Guardian piece with Dra. Karina Moreno Ph.D. on “Baseball, Latino America’s pastime, faces new challenges in the age of Trump”. Be the first to comment on "Bernie’s Campaign Manager Faiz Shakir Talks Baseball and the Immigrant Experience"